A security incident is any event or occurrence that affects or tends to affect data protection, or may compromise the availability, integrity, and confidentiality of personal data. It includes incidents that would result in a personal data breach, if not for safeguards that have been put in place. A data breach is a kind of security incident. A data breach happens when there is a breach of security leading to the accidental or unlawful destruction, loss, alteration, unauthorized disclosure of, or access to, personal data transmitted, stored, or otherwise processed. Confidentiality breach. – from the unauthorized disclosure of or access to personal data. All personal information controllers and processors must implement a security incident management policy. This policy is for managing security incidents, including data breaches. Compliance with the Data Privacy Act, its IRR, and all related issuances by the NPC pertaining to personal data breach notification. Procedure for the regular review of policies and procedures, including the testing, assessment, and evaluation of the effectiveness of the security measures. Compliance by the personal information controller or personal information processor with the relevant provisions of the Act, its IRR, and all related issuances by the Commission on personal data breach management. Although the functions of the Security Incident Response Team (SIRT) may be outsourced, and there is no precise formula for the composition of the SIRT, its members must, as a collective unit, be ready to assess and evaluate a security incident, restore integrity to the information and communications system, mitigate and remedy any resulting damage, and comply with reporting requirements. Personal information controllers and processors are required to submit their Annual Report, where all security incidents and personal data breaches must be documented through written reports, including those not covered by the notification requirements. In the event of a personal data breach, a report shall include: (a) the facts surrounding the incident; (b) the effects of such incident; and (c) the remedial action taken by the personal information controller. For other security incidents not involving personal data, a report containing aggregated data shall constitute sufficient documentation. Any or all reports shall be made available when requested by the Commission: Provided, that a summary of all reports shall be submitted to the Commission annually, comprised of general information including the: (1) number of incidents and breach encountered; and (2) classified according to their impact on the availability, integrity, or confidentiality of personal data. Either the personal information controller or the NPC believes that the data breach is likely to give rise to a real risk of serious harm to the affected data subject. Personal data of vulnerable groups. The failure to notify the NPC or the public may make you criminally liable for Concealment of Security Breaches Involving Sensitive Personal Information, which carries a penalty of imprisonment from one year and six months to five years, and a fine of Five Hundred Thousand Pesos (₱500,000.00) to One Million Pesos (₱1,000,000.00). This crime is committed by those, having knowledge of the security breach and with an obligation to inform the NPC of the fact of such a breach, either intentionally or by omission fails to inform the NPC that the breach has happened. 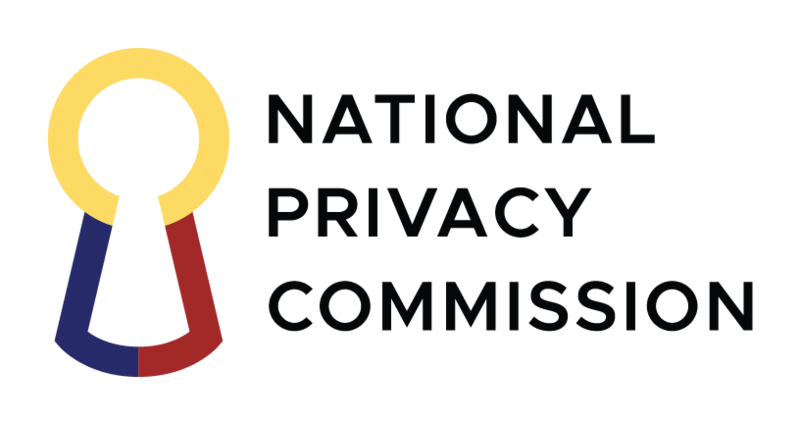 Aside from notifying the NPC, the personal information controller shall also notify the affected data subjects upon knowledge of, or when there is reasonable belief that a personal data breach has occurred. The obligation to notify remains with the personal information controller even if the processing of information is outsourced or subcontracted to a personal information processor. The Commission shall be notified within seventy-two (72) hours upon knowledge of or the reasonable belief by the personal information controller or personal information processor that a personal data breach has occurred. to restore reasonable integrity to the information and communications system. There can be no delay in the notification if the breach involves at least one hundred (100) data subjects, or the disclosure of sensitive personal information will harm or adversely affect the data subject. In either case, the Commission must be notified within the 72-hour period based on available information. The full report of the personal data breach must be submitted within five (5) days from notification, unless the personal information controller is granted additional time by the Commission to comply. Personal data involved. – stating the description of sensitive personal information or other information involved. Remedial Measures. – there must be: (a) Description of the measures taken or proposed to be taken to address the breach; (b) Actions being taken to secure or recover the personal data that were compromised; (c) Actions performed or proposed to mitigate possible harm or negative consequences, and limit the damage or distress to those affected by the incident; (d) Action being taken to inform the data subjects affected by the incident, or reasons for any delay in the notification; and (d) the measures being taken to prevent a recurrence of the incident. Name and contact details. – of the Data Protection Officer or contact person designated by the Personal Information Controller to provide additional information. recommendations regarding how to minimize risks resulting from breach and to secure any form of assistance. The notification may be supplemented with additional information at a later stage on the basis of further investigation. The notification of affected data subjects shall be done individually, using secure means of communication, whether written or electronic. And whenever individual notification is not possible or would require a disproportionate effort, the personal information controller may seek the approval of the Commission to use alternative means of notification. The Notification requirement is not absolute; the NPC can allow the Postponement of notification when it may hinder the progress of a criminal investigation. Compliance with the law and existence of good faith in the collection of personal information. The investigation shall be governed by the Rules of Procedure of the Commission.